Does Domestic Violence Constitute Valid Ground to Claim Refugee Status? Does domestic violence constitute valid ground to claim refugee status? Encouragingly, the answer is increasingly yes, and Loyola’s own International Human Rights Clinic (IHRC) is trying help moving international law in that direction. In concert with human rights organization Asylum Access Ecuador (AAE), Loyola’s International Human Rights Clinic filed a case today before the United Nations Committee on the Elimination of Discrimination Against Women (CEDAW) seeking to recognize domestic violence as grounds for refugee status. It is one of the first cases of its kind to be brought before a United Nations body. The case, regarding a Colombian woman who had been subjected to severe domestic violence and subsequently denied refugee status in Ecuador, argues that domestic violence should be grounds for refugee status under the 1951 Refugee Convention. It also aims to ensure that refugee status determination proceedings at the national level are non-discriminatory and gender-sensitive. This op-ed originally appeared in the Los Angeles Daily Journal. A judicial candidate, a potential donor and a lawyer walk into a bar. If that bar is located in Florida or one of dozens of states that prohibit judicial candidates from directly soliciting campaign contributions, then that candidate cannot ask the potential donor for money. However, the candidate can form a campaign committee, choose who runs it, look at the donor list, and call those donors to thank them. Tuesday, the U.S. Supreme Court is hearing arguments in Williams-Yulee v. Florida Bar to consider whether Florida’s prohibition on judicial candidates from making direct campaign solicitations is constitutional. This case is not about whether or how much money judicial candidates can raise, but rather concerns whether they can directly ask for that money. Advocates of these types of prohibitions contend that they promote the integrity of judges and confidence in the courts because it is problematic and frankly downright unseemly for judicial candidates to directly ask donors for campaign cash. Let’s be honest, who do we think will give those campaign contributions? Short answer: generally people who may appear before that candidate. Hence a prohibition on the direct solicitation of contributions arguably protects the impartiality of the judiciary and guards against donors being able to exert an undue influence over judges. Advocates therefore claim that the prohibition reduces corruption or the appearance of corruption that can occur when a judicial candidate asks a potential donor for money. Opponents of the prohibition claim such prohibitions infringe on the First Amendment without properly serving to prevent undue influence or corruption. It is true that the prohibition still allows potentially problematic behavior because judicial candidates still know who gives to their campaigns and can thank those donors. This is an argument that the restriction is not properly tailored to serve its goals. Opponents do not contend the restriction should be broader and prohibit more behavior, but that other options, such as contribution limits or recusal rules, could serve the same governmental interests without the burden on First Amendment rights. This op-ed originally appeared in the Los Angeles Times. There are dozens of entities devoted to educating you about all things financial. Congress funds a commission and a website, Mymoney.gov. Schools have added “financial literacy” to their curricula. Banks put out pamphlets, and every major investment brokerage has Web pages devoted to educating people on how to invest wisely. But none of it is working very well. Neither children who are required to take financial literacy classes in school nor adults who are randomly assigned to such courses perform much better on financial skills tests than those who don't, nor do they make better financial choices or enjoy better financial outcomes. Paradoxically, the opposite may be true. Participating in these programs can increase risky behavior as people gain a misplaced confidence in their ability to make financial decisions. This post originally appeared on the Climate Law Blog of the Center for Climate Change Law at Columbia Law School. In an emphatic opinion, a state appellate court has invalidated the environmental impact report for the first “sustainable communities strategy” prepared by a regional council of government in California. In Cleveland National Forest Foundation v. San Diego Association of Governments, the court found that the impact report did not evaluate the plan’s consistency with an executive order setting reduction targets for greenhouse gas (GHG) emissions. The report also did not sufficiently analyze alternatives and mitigation measures. Unless the California Supreme Court hears the case, the opinion will ensure that sustainable community strategies, which integrate transportation planning with efforts to reduce GHGs, must undertake a long-range examination of how those plans will affect such reductions. AB 32 is California’s most well-known law on climate protection. However, a second law, the Sustainable Communities and Climate Protection Act of 2008, directed the state’s Air Resources Board to develop regional GHG reduction targets for autos and light trucks by 2020 and 2035. It then required regional planning agencies to adopt “sustainable communities strategies” that would meet those reduction targets. The sustainable communities strategy would be a part of each planning agency’s long-term regional transportation plan. Additionally, an Executive Order issued by former Governor Arnold Schwarzenegger required reduction of GHG emissions to 1990 levels by 2020, and to 80 percent below 1990 levels by 2050. A police encounter with an individual goes horribly wrong and leads to great bodily harm or even death of that individual. Some argue that even though there were tragic consequences, the police action was regrettably justified. Others view this awful occurrence as providing direct evidence that the police acted inexcusably and perhaps even criminally, at some level not respecting the fundamental humanity of the individual. It reflects still-existing power imbalances and institutionalized racism in our society. This narrative fits Michael Brown and Ferguson. Or Eric Garner. And indeed both of these cases stimulated a national and painful conversation about police and their encounters with citizens. Those who confront these issues on an all-too-often basis express their frustration, leading to protests and even violence. People who may not think often about racial justice are drawn in and forced to think about uncomfortable issues. Either way, hard questions about police training and their role in society are teed up. Everyone has an opinion. But this first paragraph applies equally to another fact pattern that occurs all to regularly, yet one that most people do not think about or realize. It reflects the case of Teresa Sheehan, currently before the Supreme Court (City and County of San Francisco v. Teresa Sheehan). The following facts are drawn from the briefs in the case. Recently, a group of new attorneys sat around a room in downtown Los Angeles negotiating a settlement agreement while a senior attorney looked on. They drilled down on the details: Would there be options for paying in installments? Would the formalized agreement define penalties for failure to pay? This scene plays out daily in many of the law firms occupying the neighboring high rises. What made this particular scene so special? 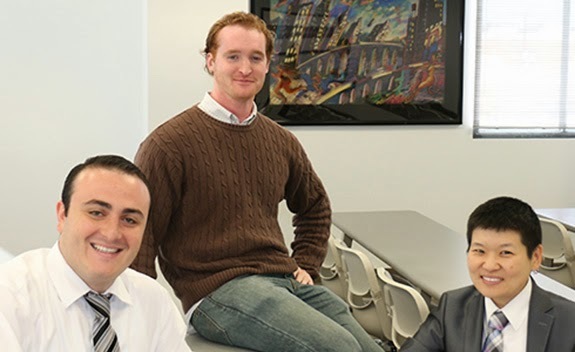 The new attorneys participating in this exercise are part of our recently launched incubator at Loyola Law School, the Justice Entrepreneur Initiative (JEI), and they were completing their fifth day of instruction during a required “bootcamp” training before they open their own solo law practices on Jan. 12, 2015. JEI will aid newly minted lawyers as they start their own law firms, equipping them with some of the basics they need to provide legal services to low- to middle-income communities in the Los Angeles area. JEI will provide shared office space (including furniture and Internet), access to legal case management software and legal research resources, free CLE courses, practical training, and mentorship and guidance throughout the duration of the 18-month program. The JEI training drew on the expertise of several Loyola Law School alumni, including Michael Chasin ’13, Julie Goren ’87, John Horn ’96, John Maxwell ’89 and Cathy Sargent ’83, who generously donated their time to conducting the essential training sessions. Professors Jean Boylan ’86 and Sande Buhai ’82, both alumnae, taught critical classes in law practice management. JEI will further partner with alumni and local practicing attorneys for mentorship as the initiative moves forward. If you would like to assist as a mentor in the program, or if you would like to provide case referral or conduct a CLE during the coming year, please contact us. We look forward to opening the doors of JEI with the start of the new year!